With the Smart Drifting Scooter, you will have to change the way you look at scooters and your daily, walking commute because it is a mini intelligent monocycle. This is a two wheel electric self-balanced monocycle. The two wheels have a durable frame between them where you will find the standing area. The frame is made of alloy metal. It has lights on it so that even in low light settings, you can feel safe on your scooter. Other people will be able to see you coming and be able to get out of your way so you can travel safely. Your height does not matter when using this scooter scooter however, it does have a maximum weight limit of 120kg or about 260 pounds. The scooter itself is also lightweight at only 22 pounds. This makes it convenient to carry when you are not riding. To further increase its portability, you can also purchase a carrying case. It has a top speed of 10km/h or 6 mph. This may not sound very fast, but it will still help you reach your destination faster than walking. The slower speeds also ensure you a more stable ride when you are standing on wheels that are only 12cm or 4.72 inches in diameter. You can travel approximately 12.4 miles or 20KM on this scooter if you are not pushing it forward over rough terrain or maxing out its weight capacity. This means you have about 90 minutes if you have an 80% charge on it or 130 minutes on a full charge. When the lithium battery goes dead, you will simply need to charge it on a standard 110AC/240V outlet. On average the 36V, rechargeable battery will take a full charge in about 2 hours. 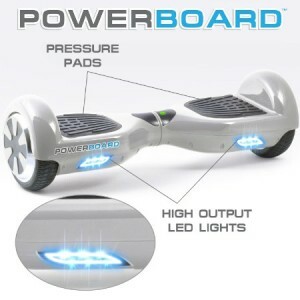 This means you can charge it while you are at the office and ride it back home later in the day. With this scooter, you get a one year warranty. All you have to do is photograph or video what it is doing wrong and replacement parts will be shipped to you. If the scooter cannot be repaired, the company will replace the defective scooter. With your purchase, you will get the scooter, the owner’s manual, and a charger. There are several color choices available so that your personal scooter can match your unique personality. This self-balancing two wheeler is easy to use. It is powered by your body’s movements. If you lean forward, it goes forward. The further you lean, the faster it will go. If you stand straight, it is going to be in neutral. If you lean backward slightly, you will be putting it into reverse. Put one foot forward and you will turn in that direction. The hardest part of using this scooter is that it will not climb hills easily if they are steep. It also requires you to be able to stand and balance in a variety of positions. For some people, it is a little difficult to figure out how to move your body and keep your balance. 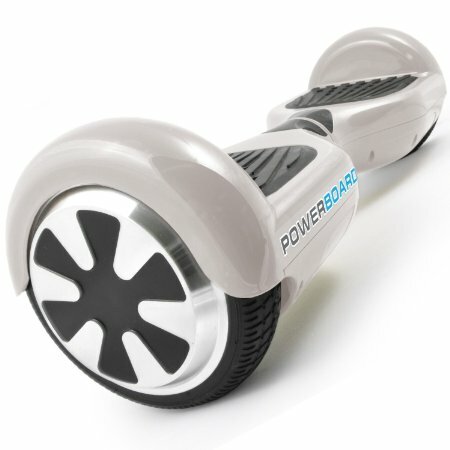 Will A Self Balancing Board Make Life Easier? 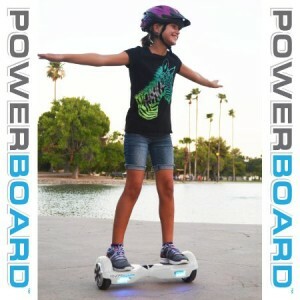 Most current owners suggest that if you find an electric skateboard for sale, that you get it. There are people of all ages who have taught themselves to ride. However, it is recommended that senior citizens take a little extra time to learn how to use it around their home before they venture out because there is potential for falls while you are learning how to use it. The only thing that most people complain about is that the metal does get scratched easily if you bump up against something. Others who have had issues with it, simply are not taking advantage of the warranty that comes with it. Overall, if you are looking for a faster way to walk to work or to run short errands, the two wheel Smart Drifting scooter reviews all point toward it being a great way to get around. Most say that it is easy to learn and well worth the price.